If you are in Years 3 to 8 (divided into year groups 3-4, 5-6 and 7-8), send us your painting, drawing, photograph or textile of any bird that captivates you the most. The only catch? You need to have seen it or make sure it can be seen in the Winchester area. Any medium is acceptable, the choice is totally yours! hand your work to your art co-ordinator at your participating Winchester school, no later than 6th March, 2018. 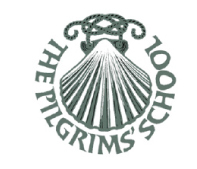 All category winners, runners-up and commended entrants will be invited to attend the prize-giving ceremony on the afternoon of Wednesday 14th March at The Pilgrim’s School. We would be delighted if parents and representatives of your school can join us. The children’s work will be featured throughout The Pilgrim’s School, as well as displayed at the Art in Nature Exhibition which will be held at Jardinique 4th - 7th May. Update: The competition has now been completed. Read a report from the event and see some of the fabulous artwork produced by these talented school children.